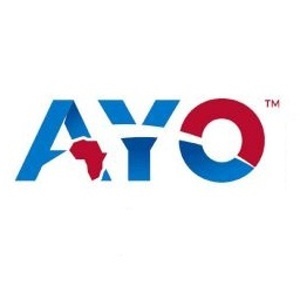 The JSE has asked AYO Technology Solutions to engage with its external auditors "on an urgent basis" in light of evidence given at the PIC commission of inquiry, the stock exchange said in a statement on Wednesday afternoon. The commission has been investigating allegations of wrongdoing at the state-run asset manager. The statement issued by the JSE was referring specifically to allegations that former executives were instructed to amend the numbers contained in AYO's unaudited interim results. The allegations were of "serious concern", the JSE said. Fin24 earlier reported that AYO CEO, Kevin Hardy, testified that Iqbal Survé, the head of investment holding company Sekunjalo, interfered in the running of the technology company and issued an order to tamper with a financial report. Hardy was one of two former key AYO executives who testified before the commission on Monday. Although auditors are not required to provide assurance on interim financial results, the JSE has "in light of the uncertainty" as well as "the importance of accurate financial information", asked AYO to get an opinion from external auditors on both the 2018 interim results and the interim results for the six months ended February 28, 2019. Additionally, it has asked for the outcome to be reported to the JSE and the market, the statement added. "These allegations are of serious concern to the JSE as the accuracy and reliability of the financial information published by companies are of critical importance and [form] a foundational cornerstone of a fair, efficient and transparent market of the JSE’s, and any regulated market," the statement said. "In addition, the investing public relies on a company’s published financial information to make important investment decisions. "The JSE has, for these reasons and in accordance with its regulatory duties and responsibilities, adopted its Listings Requirements to ensure that companies’ published financial information is accurate." The statement also referred to "numerous other allegations against the Company [AYO]" cited in media reports and testimony at the Commission. It is currently conducting various investigations into these, the statement said. It would not give further details as this would be "highly irregular and unlawful". "The JSE is required to establish all the facts pertaining to these allegations and afford affected parties an opportunity to respond before any action can be taken," the statement said.